SUPERTRAXMAG.COM - Québec: So Close… But a World Away From Anything You’ve Experienced! Québec: So Close… But a World Away From Anything You’ve Experienced! There are few truly unique cultural experiences to be found in snowmobiling. Riding in Québec offers something far different from the norm and is guaranteed to deliver a menu of unforgettable feelings that will stay with you for the rest of your life. Québec is about winter! There is simply no better place to experience the season than on the magnificent trails of this province. The blending of a long-organized trail network with incredible natural geography combines with the warm and welcoming people of Québec to send you almost literally, into another world. The best part: You get there without having to leave the continent! Yes, French is the mother tongue here, but Québec people are gracious and cooperative, and always anxious to make visitors feel at home. English-speaking hosts are everywhere and there's rarely a moment communication becomes a barrier to enjoying the snowmobiling experience. You can always get directions, great service and friendly conversation delivered with a French accent, just to remind you you’re in a very special place. 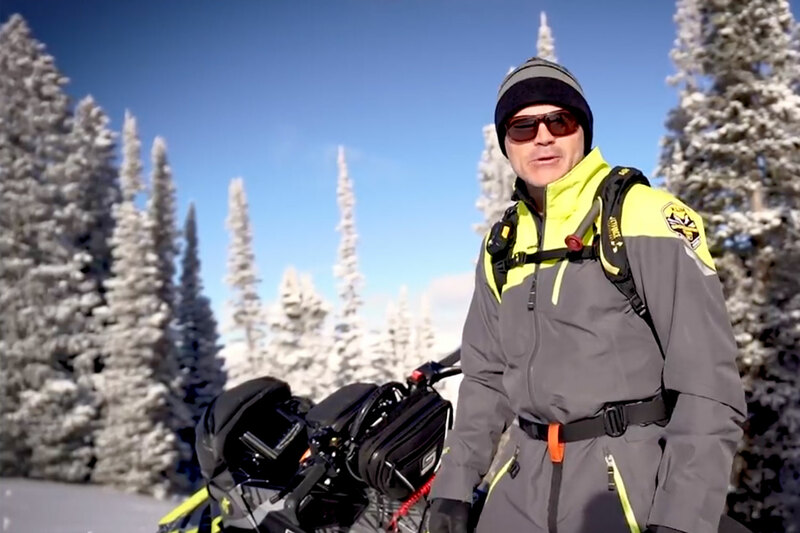 There's a passion about snowmobiling in Québec and it's why this is where it all started. The earliest days of the sport were recorded in this province, and almost 90 years ago, the beautiful forests, hills and meadows inspired pioneers to create a trail network for Québec’s own invention, the snowmobile. At the end of your day's riding, visit one of the hundreds of unique inns, hotels and restaurants accessible by trail and you'll simply marvel at the delicious cuisine, friendly service and quaint, cozy surroundings. Québec is a huge place with limitless opportunities to ride. It borders the provinces of Ontario, Newfoundland and Labrador, New Brunswick along with the states of New York, Vermont, Maine and New Hampshire and is easily accessible to snowmobilers from Pennsylvania, Massachusetts. There are international airports in Montréal, Québec City and even Mont-Tremblant. You may also fly into regional airports in every other city in the province. If you're trailering your snowmobiles to a Québec destination, roadways, even to remote areas, are modern and well maintained. Once you arrive, there's an abundance of places you can either stage your motor vehicle and trailer or, if you arrived by airplane, plenty of businesses offering snowmobile rentals. If you love winter, come to where winter is best! Nothing matches Québec for snowmobiling. Part of this incredible region is located across the Ottawa River from Canada's capital city, Ottawa, and within Outaouais is the primarily English-speaking Pontiac Region nestled into the Gatineau mountain range. Needless to say, the scenery here is breathtaking, melding together open meadows, forests and wide vistas visible to the horizon. 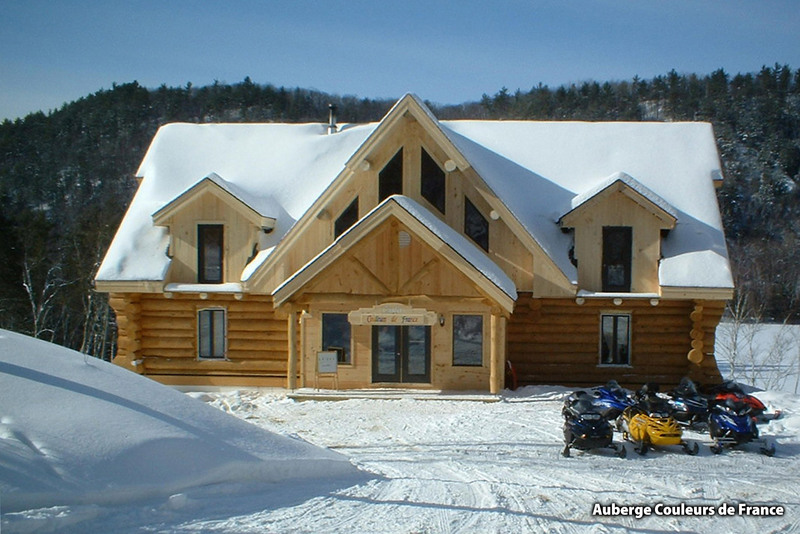 The snowmobile community has been present for many years in Outaouais and the trail system is fully developed with wide, expansive trail routes taking the scenic route to quaint Québec villages like Maniwaki, Duhamel, Fort-Coulonge, Montebello, Notre-Dame de la Salette et Gracefield - only to name very few. A trail that best represents the Outaouais region and lives up to its reputation for wildlife and spectacular scenery is the The King of the North trail. This looped network is 158 Km in length and promises you a wilderness experience like never before. 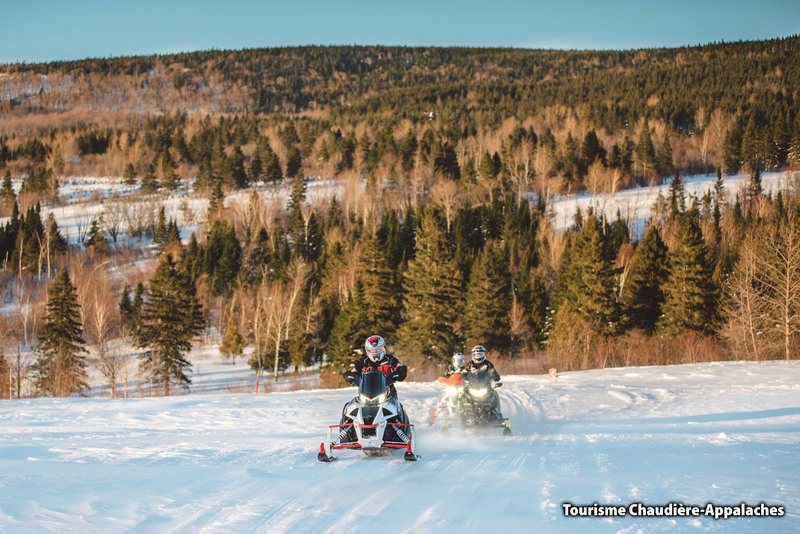 Centre-du-Québec and Chaudière-Appalaches regions region embodies the true spirit of snowmobile tourism. It offers nearly 2,500 miles of groomed trails and they can be ridden in huge loops so you're never far from where you left or from your end destination. There's an abundance of quaint overnight accommodations in this region and the rolling scenery is semi-mountainous and incredibly picturesque. Be prepared to take photographs, because the scenery here is world-class! Gorgeous views along the St. Lawrence River, Appalachian Mountains or hundreds of white-covered farm meadows combine to create a forever memory of your visit! The In Between Trail loop is one of the more popular options. Spanning approximately 280 Km you'll travel between the two regions of Centre-du-Québec and Chaudière-Appalaches. Along the way you'll be treated to spectacular views high atop the mountains which link city centres. For more information on snowmobiling in Québec go to snowmobileinquebec.com. The website acts as the perfect ambassador to the region and assistant in planning your ultimate snowmobile adventure.